If you experience some foot or heel pain during the day, it may be because your shoes don’t offer the necessary arch support. Ineffective arch support on shoes can lead to chronic pain as well as disorders such as plantar fasciitis. Furthermore, we don’t just cover running shoes with good arch support, but footwear for all occasions and situations. 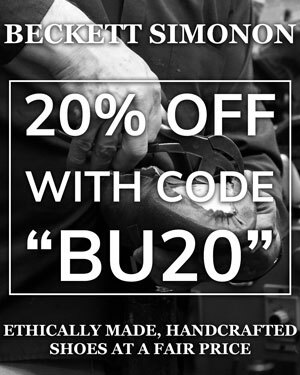 We’ll also cover the mechanics and construction of shoes with arch support so you understand how they work. In a hurry and don’t have the time to read about each and every shoe on this list? Use our Quick Buy Guide below to select the shoes that best fit your needs. Otherwise, scroll down to learn the details about each pair. What Are The Best Men’s Shoes For Arch Support? 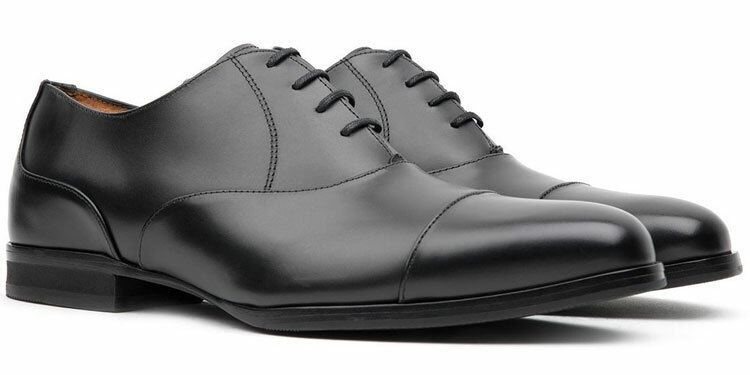 Featuring a carbon fibre shank, Wolf & Shepherd shoes offer lightweight arch support otherwise unknown among dress shoes. Furthermore, a proprietary memory foam cushion provides comfort and moulding to ensure easy wear throughout the day. As classic Oxfords with a subtle toe cap, these shoes are ideal for dress codes ranging from business professional all the way to black tie. Therefore, if you need the extra arch support during either your day job or even special events, rest assured that these won’t clash with your wardrobe. If this is your first pair of Oxfords, we’d favour the black leather over other colours. However, you can also choose from either a tan “honey” or mid-brown “maple”, which can be worn more casually. Designed primarily as orthotic shoes for disorders such as Plantar Fasciitis, it’s surprising how Vionic’s chukkas are seamlessly stylish. A leather-lined EVA footbed offers superior arch support, which is also designed to reduce overpronation, plantar fasciitis as well as other common foot pain disorders. Being a more casual boot, these chukkas are ideal for when out and about. 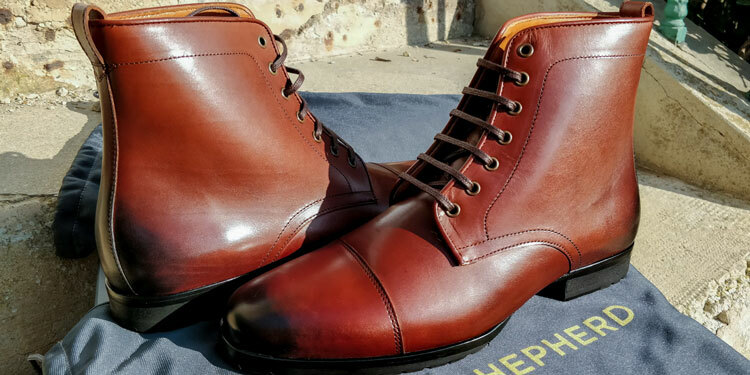 Unlike most garish and conspicuous orthotic shoes, these shoes are just as stylish as other premium chukkas. Wear them with jeans or chinos and enjoy superior arch support as well as style. You can either opt for black or tan, which are both water resistant suede leather. We find that the black leather is a little too dressy given the style of shoe. As such, the tan gets our vote! For true arch support, the chances are that you’ll mostly rely on sneakers. However, not all athletic shoes offer the same level of protection. Nevertheless, the Omni Walkers from Saucony come with a Visible Rearfoot Grid System, which offers superior cushion without sacrificing stability. As sneakers go, the Omni Walkers are quite understated, which is great if your needs are professional. Whether you’re walking in warehouses or a physician on your feet all day, either the black or white options will suit your needs. The Breakaway boots feature a comfortable memory foam footbed with contours for supporting the arches and locking the heel. Furthermore, the EVA heel reduces strain on the tend while the lightweight construction prevents overall fatigue. Perfect for versatile yet dressy usage, they can be worn for business on an either casual or professional basis. Depending on the colour you choose, these boots can be worn or a variety of occasions. Also available in black Onyx and Honey tan, we have an affinity for the cognac brown with its reddish hue. While the black is quite formal, the Cognac is great for versatile wear. 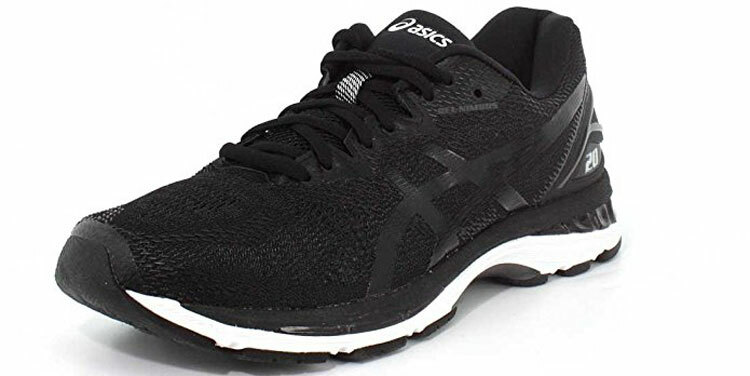 Like the Saucony Omni Walkers above, the Nimbus 20 by ASICS is an excellent shoe for improved arch support. The flytefoam midsole technology uses low-density foam to reduce shock and a gel cushion offers extra support on your arches. Somewhat less subtle than the Saucony sneakers, you may find it harder to introduce these into your casual wardrobe. Instead, they’re best worn with sportswear and when undertaking physical activities. From birch to Sulphur as well as Red Alert, Neon Lime, carbon and Island Blue, there are dozens are different colours to choose from if you’re looking for something that really pops. Whether it’s for guard duty, patrol or simply daily wear, you need solid tactical boots with all the trimmings to keep your feet safe. However, with all the standing and running you’ll be doing on duty, you’ll also benefit from a moulded EVA midsole for lightweight cushioning. Strictly utilitarian, these are boots that you’ll unlikely wear when out and about. That said, they’re well-designed and could probably be worn for parade and formal events if your unit has more relaxed dress regulations. Another pair of sneakers that offer excellent cushioning and arch support, the Skechers Performance Go Walk 4 has a lovely twist. Being a slip-on shoe, you have the convenience of loafers but can wear these also for running and long-distance walking thanks to the Go Pillars midsole. These are somewhat more casual and less sporty than the other sneakers in this list. 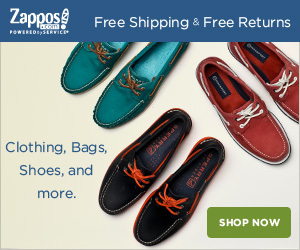 Therefore, you could very likely sport these with jeans and not look a little odd. Two colours are available to choose from, which are black and grey. Whilst the black is best as subtle, professional footwear, the grey shoes feature an orange interior and white soles, which makes them ideal for casual wear. 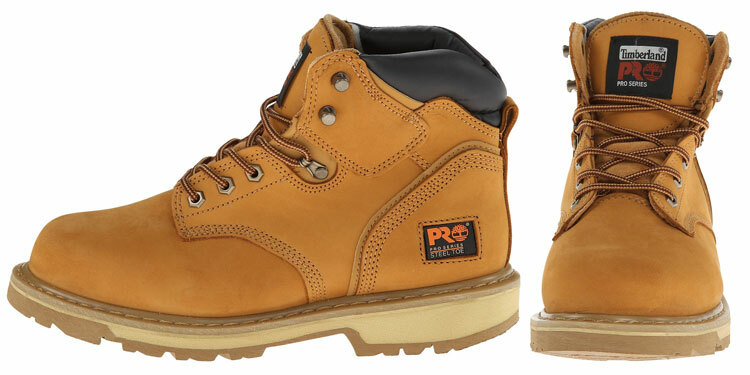 Whilst most work boots have to tick boxes for ASTM safety as well as impact standards, it’s even better when they’re comfortable.With their Pro 24/7 Comfort Suspension technology, expect fantastic arch support thanks to the removable open-cell polyurethane footbed. Being purely utilitarian boots, these are best worn for work. However, that doesn’t stop them from being stylish! These work boots will look great with jeans and checked shirt if you’re wanting to rock the lumberjack hipster look! Whilst we’re fond of the tan Nubuck leather, you can also opt for either the black or brown full-grain leather options instead. Although most walking boots offer stability, cushion and a secure fit, arch support can vary. Therefore, if you particularly need this, it’s harder to find the right boots. However, these premium desert boots from Lowa offer the best cushion and arch support that we’ve seen so far. Again, these are utilitarian boots that are usually worn with the appropriate clothing. Whether you’re in the military or you’re a hiking enthusiast, the chances are that your wardrobe is dictated by your requirements. 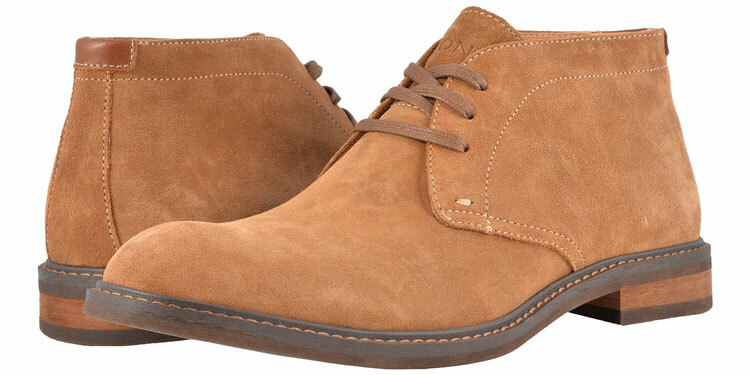 Being classic desert boots, the Z-6S are only available in a sand colour. However, you can pick up various nuances in the different shades of leather and rubber, which is very eye-catching. Unsurprisingly, our final entry in this list is another running shoe. Nevertheless, the New Balance 840 V3 are a force to be reckoned with. A favourite of those requiring orthotic footwear, the Abzorb midsole is comprised of a blend foam cushioning and compression set for extra arch support. Being pure athletic shoes, these are much harder to integrate into your wardrobe like the other options. Whilst the Omni Walkers are great as professional shoes and the Skechers are very casual sneakers, these are best reserved for sportswear. The New Balance sneakers are quite limited in colours. You can either choose black or grey with blue accents. We prefer the latter as it has a slight pop of colour. Why Might You Need Arch Support? Everybody’s feet are different but not just in terms of size. In fact, our arches can often vary greatly. In short, the arch of your feet, which is usually the same, is how the hollow curves up or not. You can determine what yours are by simply wetting your feet and walking over a surface that leaves a print. If you can see almost all of your feet, you may have low arches. Meanwhile, if you can only see the ball and heel of your feet, they may be quite high. Pronation is the way you foot rotates with each step. Depending on your arches, your feet may rotate inwards or outwards. People with high arches may experience their feet to roll outwards, which is known as underpronation. Conversely, people with low arches may have feet that rotate inwards, which is known as overpronation. On a side note, low arches and overpronation are both often associated with flat feet. Therefore, if you think you may have these, it’s worth checking out our guide to the best shoes for flat feet while you’re here! If you ever experience either of these, it’s important to get footwear that’s adapted to correcting your gait. If you don’t, your shoes may wear unevenly and you may begin to experience aches and pains. Furthermore, the uneven movement applies pressure onto your knees, shins, thighs and pelvis. This could even go as far as pushing the knees and hip out of alignment. Worse, you may experience injuries or even disorders such as bunions and shin splints. What Sort Of Arch Support Will You Need? If your case is severe, then the best option is to seek out a physician who can prescribe you the correct orthopaedic footwear. However, if you only have mildly high or low arches, balancing out your pronation is quite easy. In short, the objective is to wear shoes with support that matches your arches. If they’re too high, they’ll apply pressure into your Plantar and could bring about injury. Meanwhile, if they’re too low, they’ll be unsupported, which will cause your gait to rotate again. Therefore, wear only shoes that fit not just in the way of size but also in terms of arches! Reviewed by Rich S., on 19th November . "Thanks for the great recommendations! Proper arch support is critical for my feet and I found the right shoes thanks to this guide."